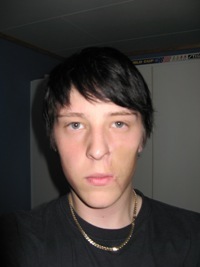 Kjetil Sandivk Havnen is a Norwegian burns survivor aged 17. He is joining South African teenage burns survivors on their Drakensberg trip in mid-late October 2006 and might be a candidate for the Kilimanjaro climb the following year. He suffered third degree burns to his face from a motorcycle crash and has received good reconstructive surgery. He is completing carpentry studies in 2007. Despite his accident he still likes to ride motorbikes and to hang out with friends. He listens to music especially rock/metal.